I thought William Shakespeare was the master of insults. “In civility thou seem’st so empty,” for example, from As you like it. 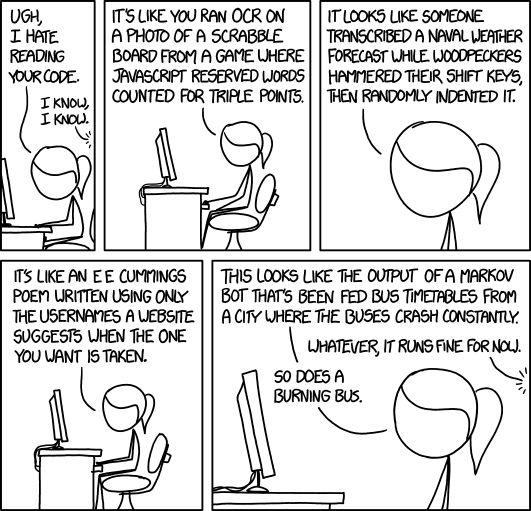 But now Randall Munroe, the author of XKCD, is catching up with his insults about code quality. ← DataTables.net — a nice way to display lots of data in a web page.